Shenzhen Tatfook Technology Co,. Ltd.
Pollution prevention facilities operate properly. 1. Wastewater treatment: in order to meet environmental protection requirements, our factory has invested RMB 1 million to establish a production sewage treatment station; the company monitors the operation of the equipment and wastewater discharge every day, and invites professional inspection companies to test the wastewater every month to ensure wastewater discharge conforms to the standard. 2. Exhaust gas treatment: the waste gas produced by our company is organic waste gas, an exhaust gas treatment facility has been set up to use UV photodecomposition method to dispose it. Each year, the company commissions a third party to monitor the exhaust gas, and the results are in compliance with national laws and regulations. 3. Others: the company commissions a qualified inspection company to test other waste gases, kitchen oily fumes and boundary noise every year, and truly achieve environmental protection and legal production. 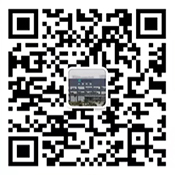 Address re-location project of Shenzhen Tatfook Technology Co,. Ltd. Expansion Project of Shenzhen Tatfook Technology Co,. Ltd.
Project Completion and Environmental Protection Acceptance Project of Shenzhen Tatfook Technology Co,. Ltd.
Shenzhen Tatfook Technology Co., Ltd. Emergency Plan for Sudden Environmental Accidents [Plan No. : DFKJ-HJYA-2015/1] was reviewed and approved by the Expert Committee on Dec. 28, 2015, and reported to Shenzhen Baoan District Environmental Protection and Water Affairs Bureau for filing (File No. : 20160311005), it has now been promulgated and implemented. 6. On-site disposal plan for exhaust gas treatment facilities failure. 1. The company got the environmental management system certification in 2011 through 2014.